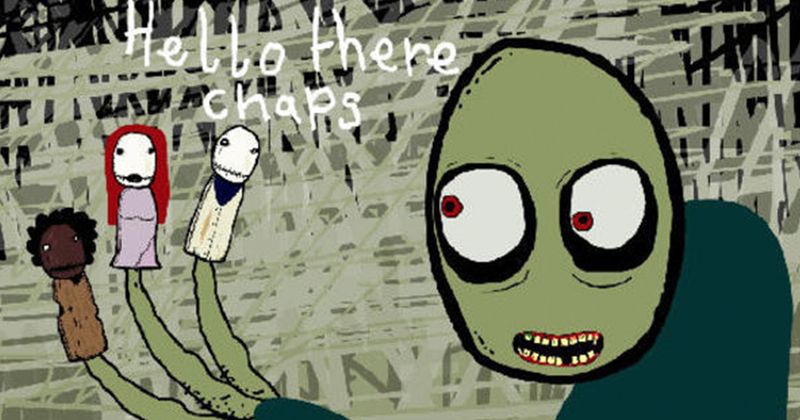 Where were you when you first learned that the feeling of rust against your salad fingers could feel so, orgasmic. I know where I was. It was my school’s old I.T. suite which was filled with computers so old I’m surprised they weren’t powered by steam. Despite most of the machines in the suite being old enough to legally drink, they were still powerful enough to just about run an old website called Newgrounds. Newsgrounds, for those born after 1995, was a weird mashup of YouTube and a free games website, where you could play basic flash games and watch simple, if vaguely surreal, cartoons. 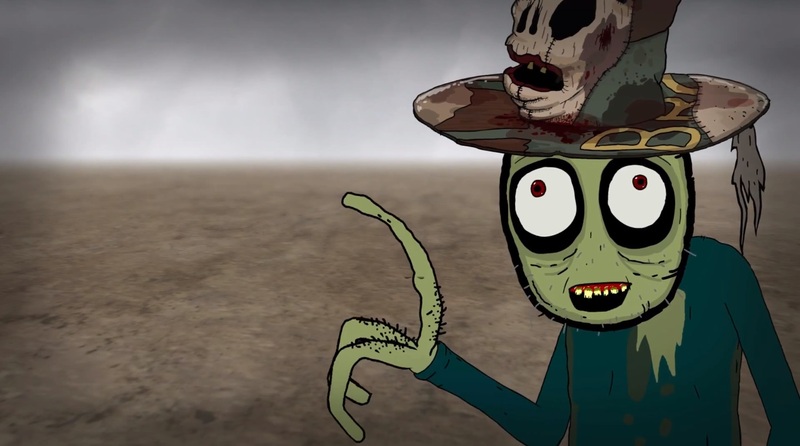 At the time there was no cartoon more popular than Salad Fingers, a vaguely menacing short about some hideous green ghoul with a predilection for rusty cutlery. And yet despite the fact Salad Fingers looked like he had an untreated case of gangrene, and a personal hygiene routine that would make the stinkiest of skunks blush, there was something oddly endearing about the little green chap. I think it’s the voice that makes him so lovable, he sounds so vulnerable and the world around him seems so dangerous you can’t help but root for him. That and the fact he uses old-fashioned words like ‘chap’, ‘muck’ and ‘fidget-pot’ he sounds like a gangrenous grandma! 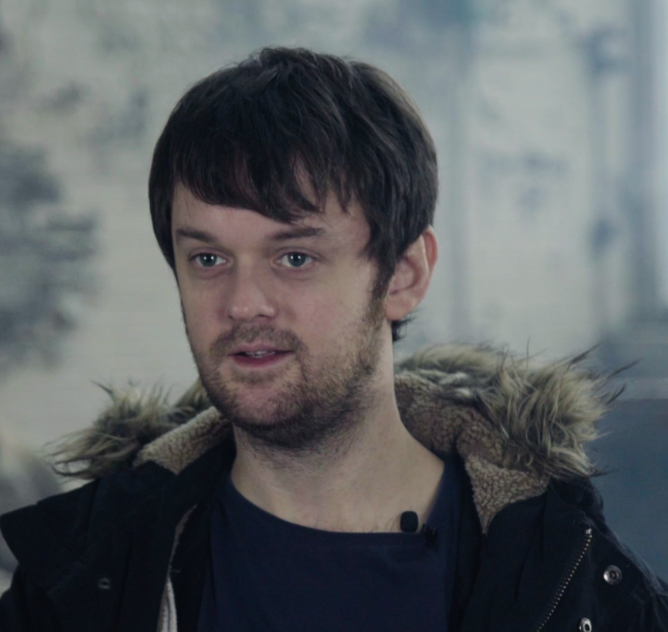 So earlier last month when we got the chance to chat to the creator and voice of Salad Fingers, David Firth, we jumped at the opportunity, got on our best finery and shot off to the suitably spooky, Sunny Bank Mill. The biggest surprise we got while chatting to David is that the series isn’t over, despite no new episodes coming out in five years(which is bad news for all those film theorists who thought they’d worked out the series’ true meaning), and that he was planning the longest episode yet. I’ve just almost finished a new episode of Salad Fingers. I’ve been working on it for a whole year, it’s the longest one yet and a lot of people thought the series had finished but I was just doing other things like Cream and making a compilation film. So I’ve just put it off a few years, but apparently five years have gone by. It’s a long episode. It’s a weird episode. A weird, dark, twisted episode as you can imagine and I feel like it’s the start of a new series in a way. 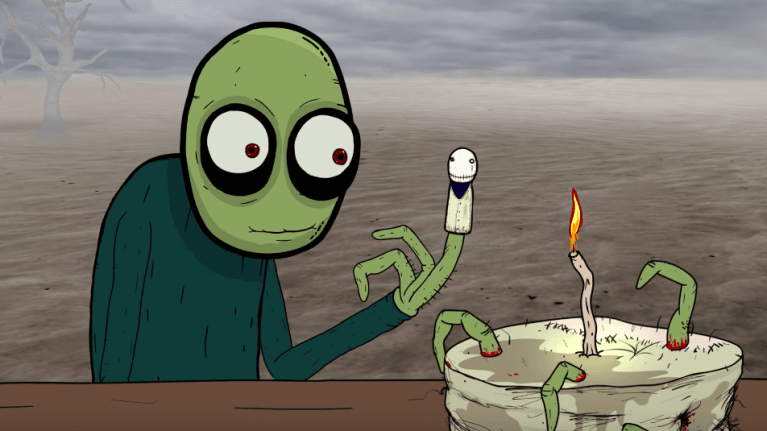 Don’t go thinking that Salad Fingers is going to change though, David told us that this ‘new series’ isn’t going to break the beloved SFU it’s just going to continue the adventures of his ‘simple’ but ‘happy’ creation. As for the more disturbing elements of the character David was pretty open in the fact that he draws influence from horror tropes but was keen to point out that he never set out to be ‘scary’. That’s why he relies so much on surrealism and humour in his cartoons, it allows him to temper expectations that all his work is going to be frightening. That said he does think he went too far once with the cartoon Spoilsbury Toast Boy -2. I felt the need to push things as far as they could be pushed and that resulted in Spoilsbury Toast Boy -2 being just explicitly graphic and disgusting. And I think that’s what put me off continuing it because I went too far. [Laughs] Or is it funny! As someone who’s watched Spoilsbury Toast Boy -2 I can safely say it isn’t funny David, it’s demented and made me afraid of beetles. And as for Salad Finger’s quiet voice that I find so endearing? Well, that came about because David was living with his parents and didn’t want to wake them up.